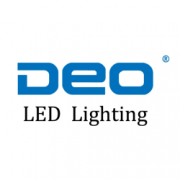 Zhejiang DEO Lighting Co., Ltd.
DEO Lighting is a professional and reliable supplier of high-power LED luminaires for architectural, industrial and commercial applications. Since 2009, DEO has been developing creative lighting solutions and delivering superior value to our customers and their clients on a consistent basis. Our efficient and cost-effective lighting solutions include retrofit LED lamps that can be seamlessly integrated into conventional lighting fixtures to create greater energy efficiencies and a higher quality of light. We are also proud to offer innovative LED lighting fixtures that combine superb style, outstanding performance, mechanical perfection, as well as precise attention to detail. These cutting edge lighting products include LED high bay lights, linear lights, flood lights, roadway lights, tri-proof lights, etc. DEO's reputation has been built on the uncompromised quality and unmatched reliability of their products. The company is committed to fulfilling the demanding needs and providing high-performance, low-maintenance and energy-saving lighting products. Every facet of the design, development and manufacturing process is closely monitored and continuously optimized to ensure you get a quality lighting product you can count on. This page was built and maintained by the team at manufacturer.lighting, a premier industry portal that truly leverages professional industry expertise and integrated internet marketing strategies [about us]. Please contact us if you're associated with Zhejiang DEO Lighting Co., Ltd. and are authorized to claim this company listing. Upon upgrading your account you'll have a full-featured membersite to publish and promote your products. We're devoted to making you stand out in a crowded market by delivering your business value and industry competitiveness in front of the global business audience, instead of compelling you to be an online vendor that competes desperately on price.